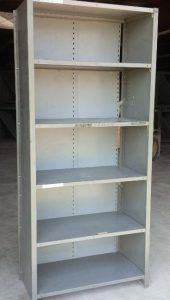 Closed Style units are ideal for industrial and commercial storage and organization. 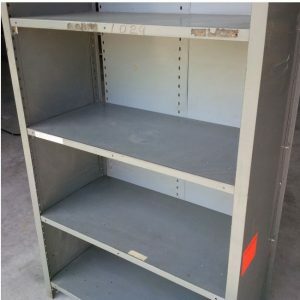 These units are used where storage applications require materials to have additional stability or containment. 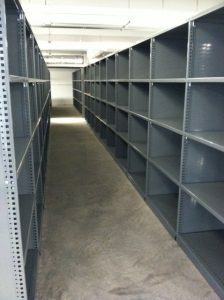 Closed Shelving ready for shipment. 36” wide sections x 18” deep x 7′ tall with closed sides and backs. 100 Sections available as shown. Pallet Rack is the main component of almost every warehouse storage system. MWS has an economical solution for your project expansions or new construction. Approximately 800 pallet positions of used Keystone Selective Pallet Rack. The Upright Frames are gray and the Load Beams are orange. 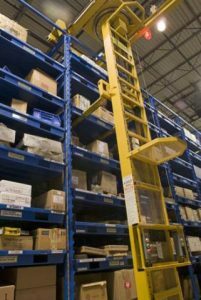 A perfect solution to maximize your pallet storage density and save warehouse space is the Pushback rack. 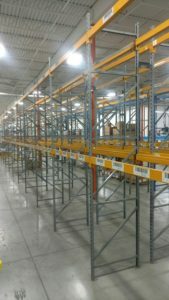 One Row 15 bays long of Advance Structural Push Back Rack – 3 Deep x 3 High for a total of 270 Pallet Positions. The system is 15 – 100” Bays or 130’ long x 240” tall x 156” deep. Cart Wheels are in great working order. 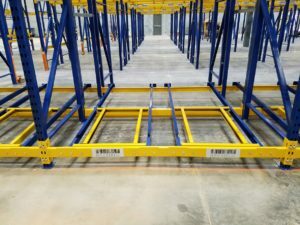 STAK® Systems are adjustable racking, comprised of a system of removable, adjustable pallets and a captive lifting and handling device that facilitates retrieval in as little as 2 minutes. One operator can efficiently manage loads weighing up to 2,000 lbs. in less than 250 square feet. STAK® “2K” System is rated for 2,000# per pallet storage. The Stak uprights are 12’ tall, the overall height of the system is around 15’-16’. There are 12 Bays per side with a 6’ pass through center aisle – the Rough length of the system is around 60’ long x 16’ wide x 16’ tall. There are a total of 118 Stak pallets 48” x 48”. Cantilever front, this allows the pallet to be placed out in front past the uprights for easy forklift retrieval. Another upgrade includes the powered mast, which is an upgrade from the manual push/pull mast – standard option. The mast is powered down an aisle, push/pull in and out with the pallet still required for bay storage. Uprights and Framing color is beige, STAK pallets are beige as well. The unit is sold, delivered and installed by MWS.